Today is indeed a dark day for journalism. 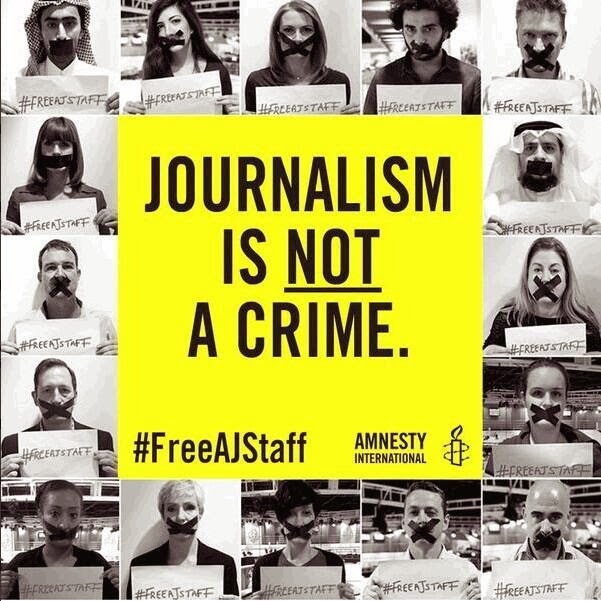 Three members of Al Jazeera english have been trialled and sentenced to more than 7 years each in Egypt, for "endangering Egypt's national security." Read more in the Guardian and follow the discussion on twitter. This news reminded me mainly of two things. The documentary 'War Photographer' on the inspirational photographer James Nachtwey, and this TED lecture from journalist Janine di Giovanni 'What I saw in the war'.